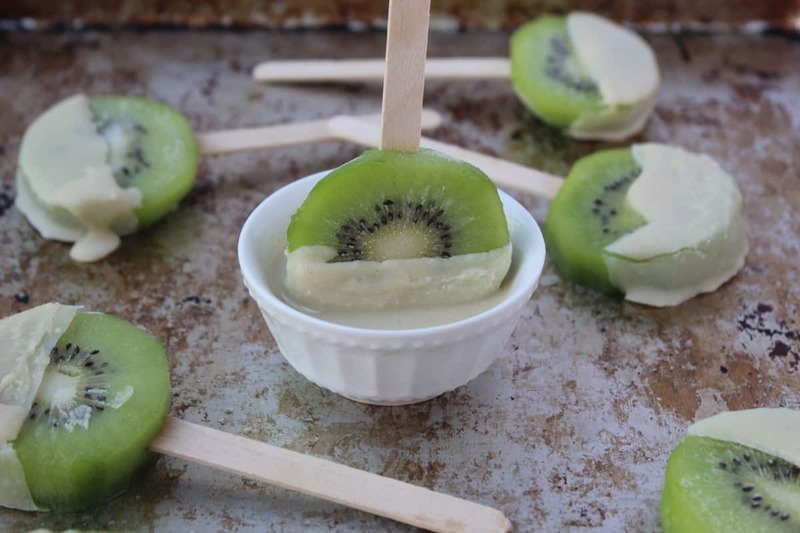 An easy summer treat, these Coconut Kiwi Popsicles are made from frozen fruit and topped with a creamy coconut cashew coating, making them healthy and easy! This post is dedicated to my younger and favorite (and only haha!) sister. Today is her birthday! HAPPY BIRTHDAY MICHELLE!! She turns a whopping 23 years old today. I can’t believe she is that old! What I would give to be 23 again. It doesn’t feel that long ago when she was a freshman in high school visiting me in college, and I was making her take tequila shots. What a good influence I was ha! Let’s just say there wasn’t much interaction from her during lunch with my parents the next day. Then she went off to college. And it feels like yesterday when she turned 21. I swear time goes faster when you are older. Michelle is a lover of all desserts, just like my dad. Ice cream, cookies, cake, brownies…they like them all. They always have room for a sweet treat and if it is something chocolate, they are for sure trying it. I do have a little (sometimes big) sweet tooth, but I didn’t inherit much of that gene. So while this post isn’t chocolate, or a cake, ice cream, cookie, or brownie, it is a sweet treat. Or snack really, I mean it is healthy! Baking isn’t really my thing so this will have to suffice for her. 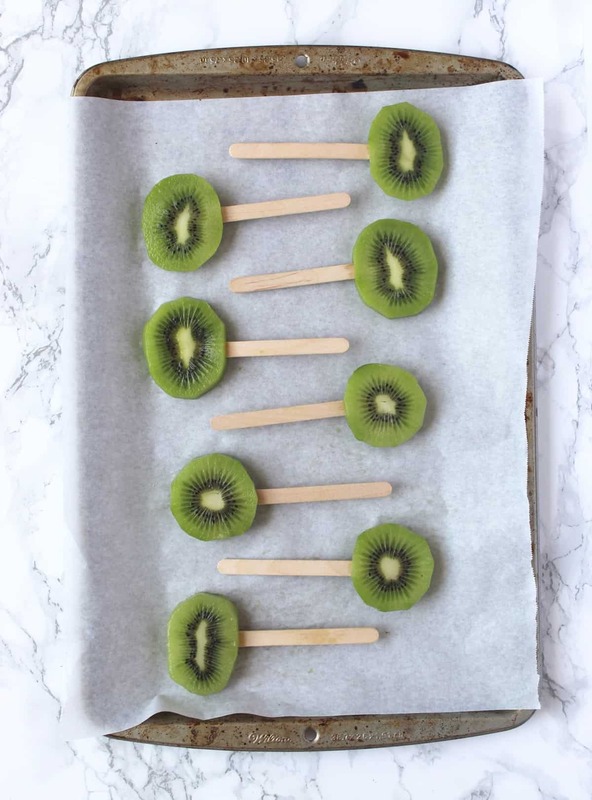 These coconut kiwi popsicles are so easy to make and so pretty!! I recently bought some kiwis and forgot how good they are. They remind me when I was younger and my mom used to buy them in the summer and add them to our breakfast. 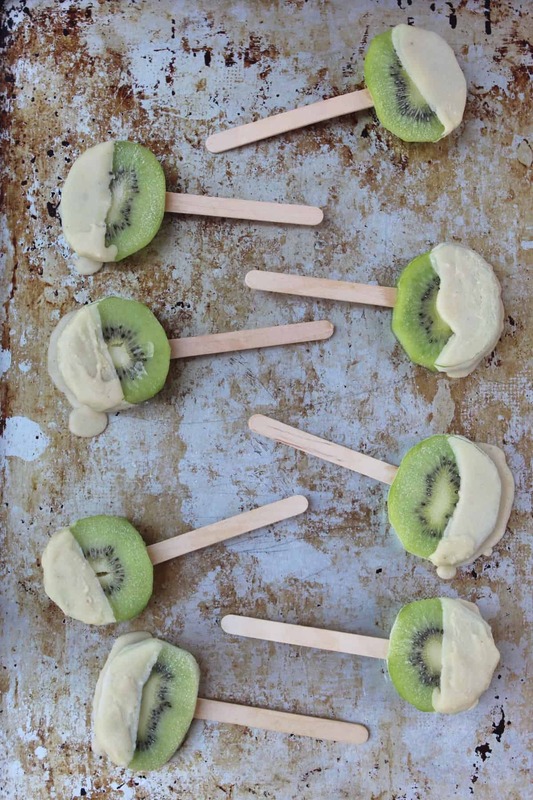 I figured why not make them a make them into a simple summer treat. 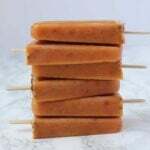 All you need to do is peel and slice, stick a popsicle stick in them, throw them in the freezer to harden up, and dip them in cashew coconut mix. 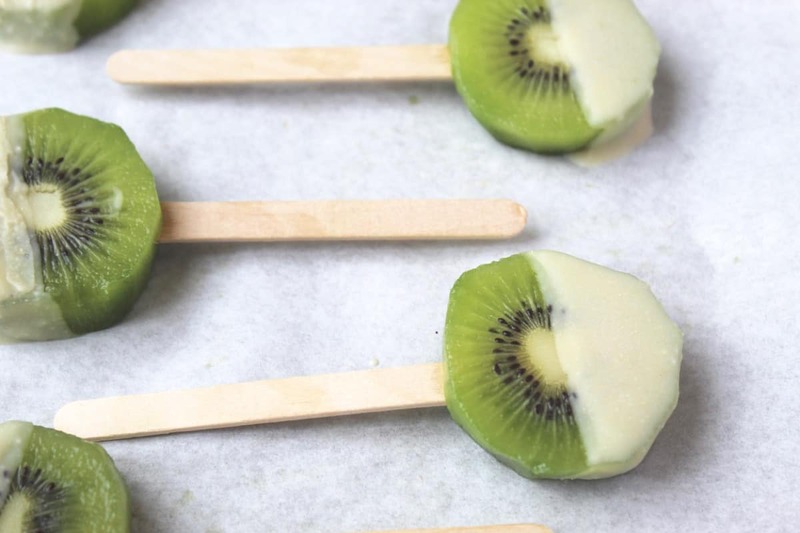 Place them back in the freezer to harden up (or eat right away) and enjoy! 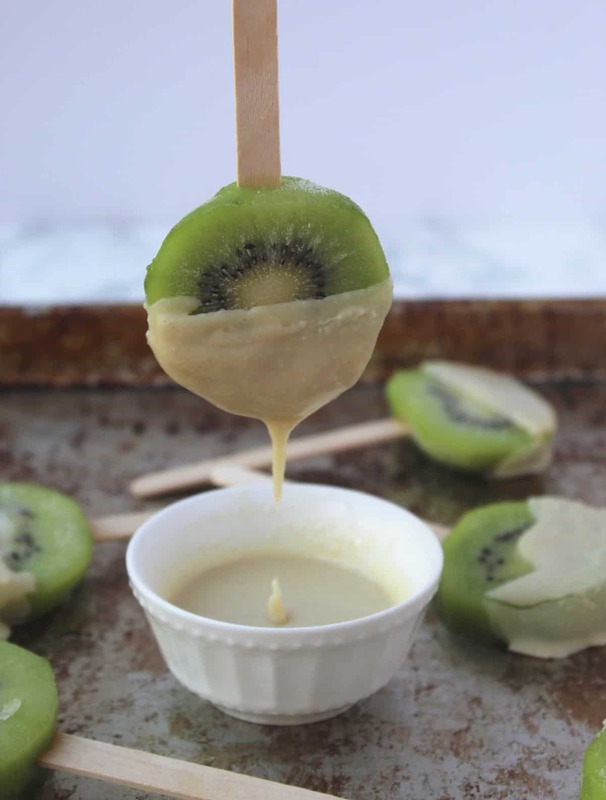 The make the best snack or dessert! And you can make a bunch and save them. There are still some sitting my my freezer now. So happy birthday Michelle! This might not be the chocolate cake of your dreams, but it sure is tasty. I’ll being eating one of these tonight to celebrate you! Love you! Line a baking sheet with parchment paper. 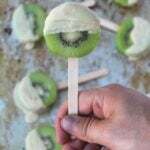 Cut a small slit on the side of the kiwi and insert a popsicle stick into the slit. Place on the baking sheet and freeze for 30 minutes. 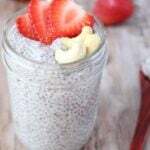 Mix the cashew coconut butter and coconut oil in a small bowl. 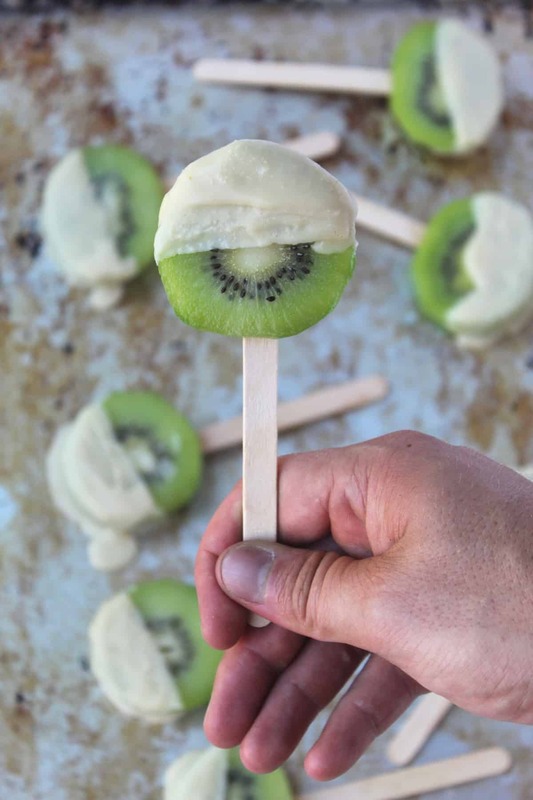 Once the kiwis are frozen, dip them in the coconut mixture and place back on the parchment paper. 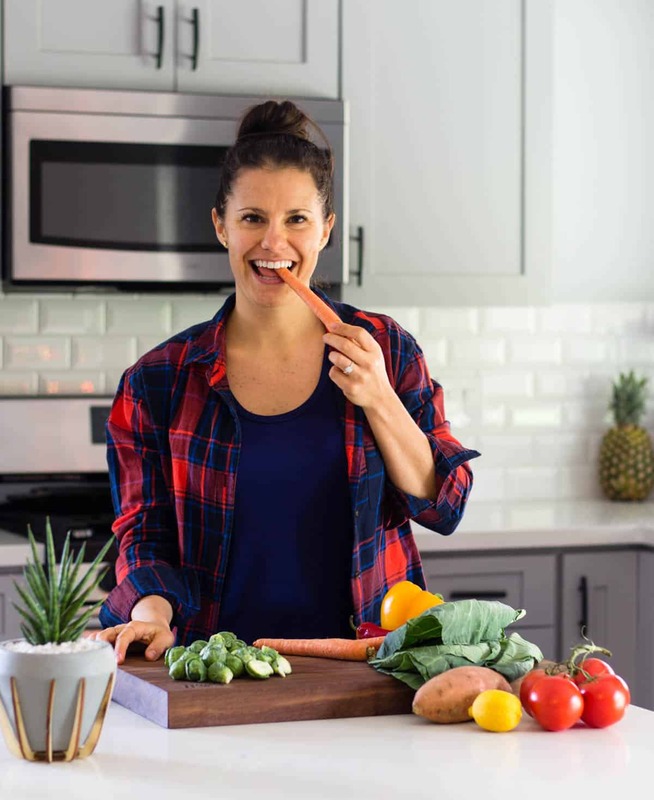 Freeze for another 30 minutes, or eat right away. What kind of treat would you love on your birthday? These look great! We’ve done chocolate covered before- but as a recovering choco-addict, I’m looking forward to trying this version! Thanks! I hope you like them Amy!! Yum!! Totally trying these. We just got a bunch of cashew butter and they look yummy! I’ve been loving cashew butter lately! Hope you like them Liz! Thanks! I love frozen bananas too! 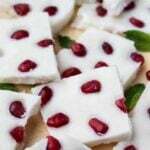 I usually have some sliced up in the freezer and will eat them as a snack when I want something a little sweet. Thanks Rebecca! 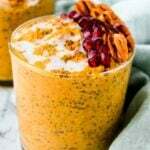 And I know, I have been obsessed with cashew butter lately!